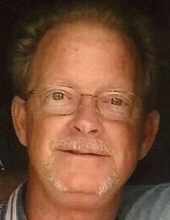 Robert L. Johnston, age 63, passed away at Bethany Lutheran Home in Council Bluffs on April 7, 2019. Robert was born to Duane and Donna (Downing) Johnston at Offutt Air Force Base on August 19, 1955. He graduated from Lewis Central High School in Council Bluffs in 1974 and was a manager for Phillips 66 for 22 years. Robert is preceded in death by his mother, Donna and brother, Ronald. Robert is survived by his father, Duane; brother, Rick Johnston; long term girlfriend of 20 years, Donetta Noerrhinger all of Council Bluffs and many nieces and nephews. To send flowers or a remembrance gift to the family of Robert L. Johnston, please visit our Tribute Store. "Email Address" would like to share the life celebration of Robert L. Johnston. Click on the "link" to go to share a favorite memory or leave a condolence message for the family.